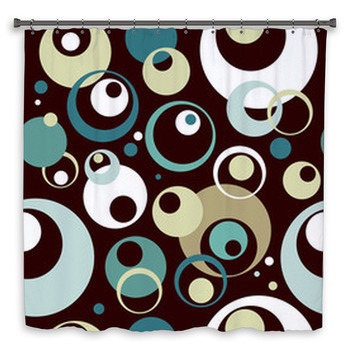 Our 1970s bath decor captures the spirit of the 70s and brings it into your home. 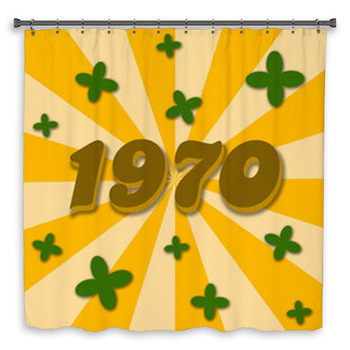 Were you alive in the 70s or were you born too late to enjoy the good times of that legendary decade? 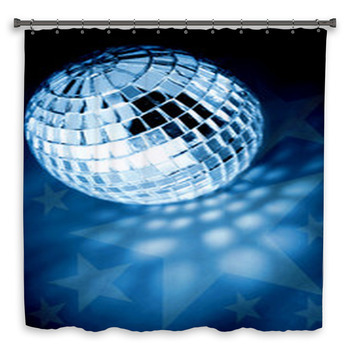 Either way, you can relive this era by turning your bathroom into a disco club, hippie concert or party pad with our custom size shower curtains. 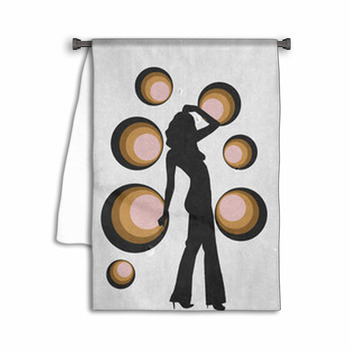 Whether you like a design of a purple silhouette of a woman with a big afro or a towel of a tight body posing amid a collage of purple and white circles, stars and swirls, it's all here! The 70s were a time of personality and individuality, and there's no reason at all you can't customize your bath decor along those lines. 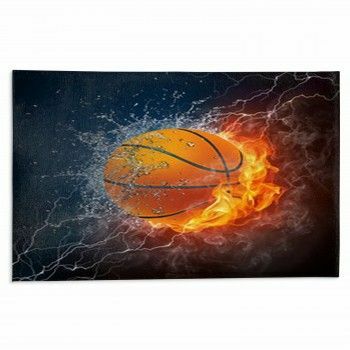 We offer personalization options that allow you to mix and match your pictures with ours, your designs with our backgrounds, or even our designs with your words! 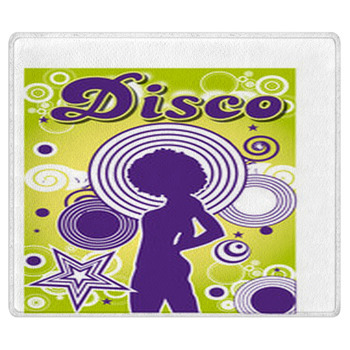 Put on your bell bottoms for a wade through a sea of personalized bath decor that will allow you to make the bathroom of your psychedelic dreams. 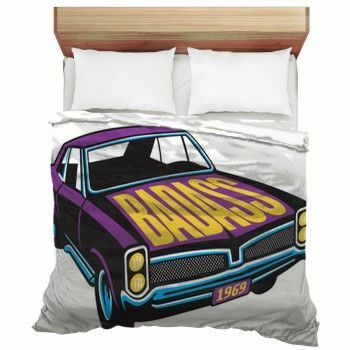 Does a cherry-red muscle car with white stripes seem like a perfect pick for a bath mat? How about a towel covered in records? 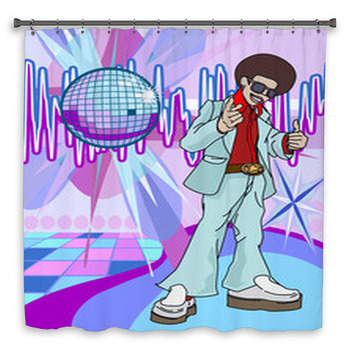 And let's not forget shower curtains that say the message of peace. 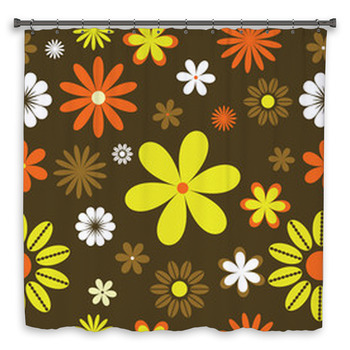 Our bath mats, towels, and shower curtains all exemplify the 70s with their colorful and vibrant designs. 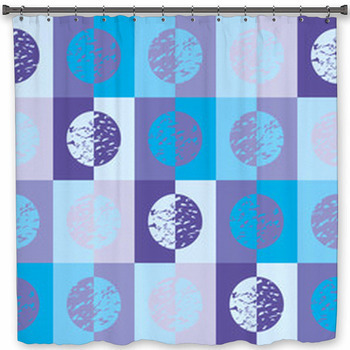 Twinkling purple disco balls adorning shower curtains and towels will make you want to dance your way around the bathroom! Don't be afraid to go extra and match your floor rugs to your nineteen seventies bath decor. 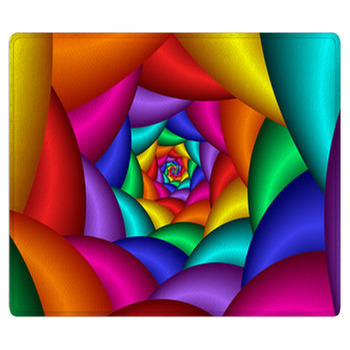 To showcase the hippie aspect of the seventies in your entire bathroom, choose a circular rainbow pattern made from rings of color including red, yellow, green, light blue, dark blue, violet and purple with FLOWER POWER in bold white bubble letters on the top. 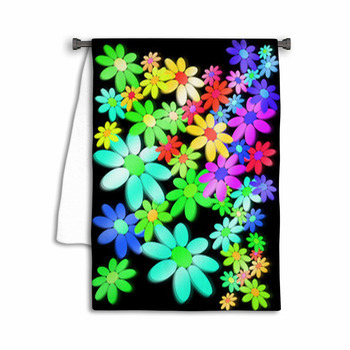 Each of our bath mats, towels, and shower curtains can be fit together to make a 70s theme: we have rainbow patterns galore, and that is just one example! 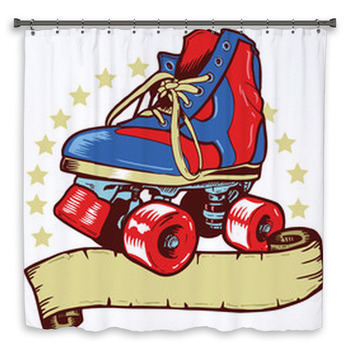 We know you lived through the 70s, and even if you forget some of your best memories in all that fun, our bath decor works for adults who want to remember this exciting decade. 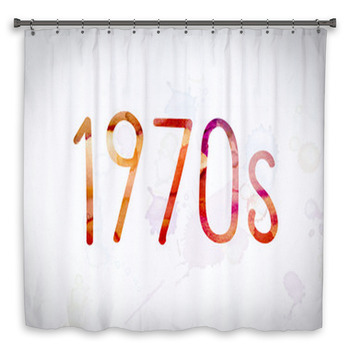 This 1970s bath decor inspires you to be fun and free as you are getting ready to go out and party--70s style!